Artstat Flexible Curves are of superior quality and excellent for drawing smooth curves. They have a flexible lead core, surrounded by vinyl which does not discolour or fragment. 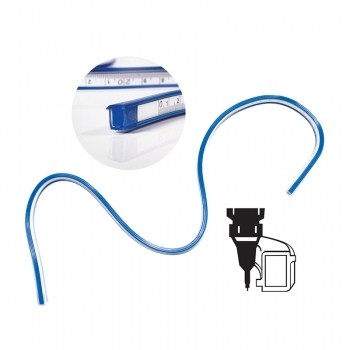 Suitable for drawing curves as small as 15mm, marked in mm and cm on both sides. Raised edges for ink ruling or pencil lines, technical pens, ruling pens and pencils all work well. Create numerous drawings from dressmaking patterns to architectural plans.